The President's Club is the most prestigious membership available to Concours attendees. 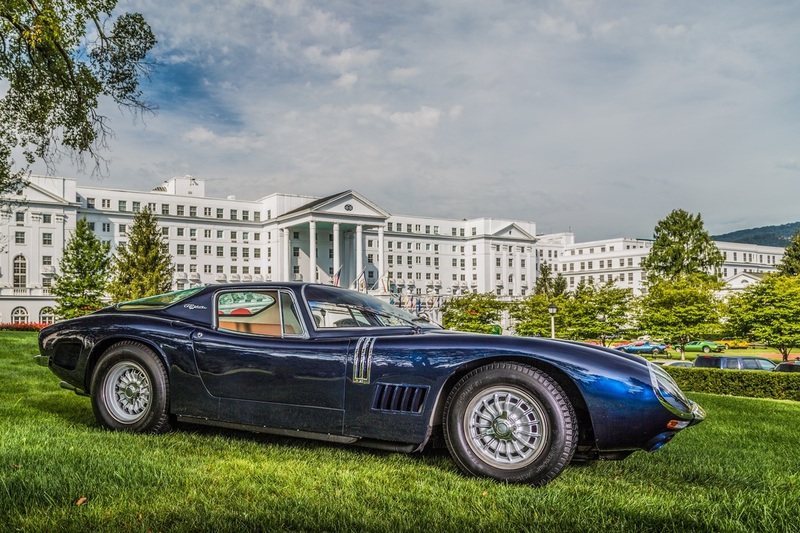 President's Club members will have the opportunity to showcase their classic, vintage or exotic cars in reserved spaces of the iconic circular front entrance at The Greenbrier. Only 50 of the finest vehicles will be on display throughout the weekend. President's Club cars will each get a reserved showcase space in the iconic circular entrance of The Greenbrier. Your space is reserved exclusively for the car you have registered. Your showcase space is reserved from Thursday to Sunday. You will receive special parking privileges as well as other amenities including, but not limited to, the President's Club Reception for you and guest on Friday afternoon. All cars in the President's Club area need to be pre-approved and a notification will be sent via email with more information once selected. The President's Club private reception will be a gathering of the most exclusive guests at The Greenbrier. ​The reception will take place on the historic Virginia Lawn with hors d'oeuvre from the culinary brigade, signature mint juleps and other cocktail creations. President's Club members will receive two complimentary tickets. A limited number of additional tickets are available to President's Club members for an additional $50.00 per ticket.